Are you planning a small event, a seminar or a workshop? 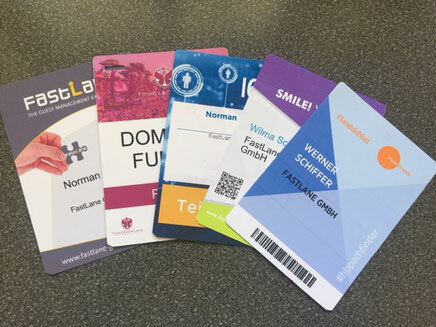 Then Badge2Go is the perfect solution for professional participant management, even for small groups and budgets. Badge2Go delivers high-quality, personalized name badges directly to your office or event location. Badge2Go combines all the advantages of the powerful live badging system in one small budget solution. This means for you: no more time-consuming pre-productions and savings in personnel resources. Even for your Walk-Ins you can rent our mini printer with iPad for easy on-site personalization of badges.